Vacant property owned and managed by the City of Chicago Department of Housing and Economic Development. Information provided in the database, or on the City’s website generally, should not be used as a substitute for title research, title evidence, title insurance, real estate tax exemption or payment status, environmental or geotechnical due diligence, or as a substitute for legal, accounting, real estate, business, tax or other professional advice. 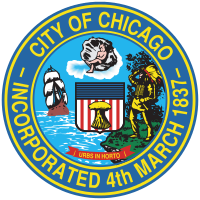 The City assumes no liability for any damages or loss of any kind that might arise from the reliance upon, use of, misuse of, or the inability to use the LIS database or the City’s web site and the materials contained on the website. The City also assumes no liability for improper or incorrect use of materials or information contained on its website. All materials that appear in the LIS database or on the City’s web site are distributed and transmitted "as is," without warranties of any kind, either express or implied as to the accuracy, reliability or completeness of any information, and subject to the terms and conditions stated in this disclaimer. This dataset contains amounts shown in the TIF District Programming 2017-2021 reports as well as from 2022 through the planned expiration of each TIF district. The report and corresponding dataset show estimated fund and project balances through the end of FY 2016. Amounts shown in columns 2017 and later reflect known obligations and proposed projects as well as estimates of revenue based on the current equalized assessed value data for each TIF district produced by the Cook County Clerk. Versions of this dataset are produced periodically for the then-relevant time periods, which will partially overlap, with newer versions having updated numbers. The immediately previous and next (if available) datasets are shown in the Featured Content cards for this dataset. All versions of this dataset can be found at https://data.cityofchicago.org/browse?tags=tif+district+programming.